In an exclusive interview with RT, Politkovskaya's son, Ilya, talks about his battle to keep his mother’s memory alive. 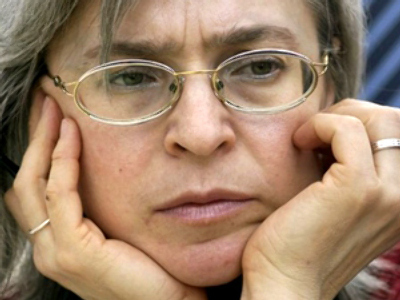 Russian journalist and human rights champion Anna Politkovskaya was shot dead two years ago at her apartment block in central Moscow. Her death sparked an international outcry and demands for a thorough investigation. In August 2007 police arrested ten people suspected of being involved in the killing. Three were later charged with Politkovskaya’s murder. The man believed to have pulled the trigger, however, is still on the run. RT has spoken exclusively to Anna Politkovskaya's son, Ilya, who says the Russian government was not behind his mother's murder. RT: On November 17 a court hearing into her murder will begin. The investigation has lasted for more then two years. How effective has it been? Ilya Politkovsky: The investigation may have lasted for two years, but it's not over yet. I believe the work that's been done was positive. However only a small portion of the findings are clear and the key questions concerning the person behind the murder are still unanswered. That’s why now it’s only the early stages of the investigation. RT: Does it mean that the case or evidence hasn’t been set out in full with regards to who was responsible? I.P. : Yes, I can say that this court hearing is only a technical one, to check all the demonstrative technicalities that were worked out and also details for further investigation. I don’t mean that this is not an important hearing, of course it is, but overall the investigation is still going on. And the important thing is that this case shouldn’t be forgotten. RT: The court is also in the process of deciding whether the hearing will take place behind close doors or be open to the public. What do you think is more likely to happen? I.P. : The first two days will only be technical hearings. They will determine the regulations surrounding jury selection and court procedure. Then the real hearing will start. I think the case will be heard behind close doors. Even though our family – my sister and I – are against it. My mother was first of all a journalist and making the court hearing over her case closed to the public – I think is wrong. I believe the best outcome will be if the court hearing finishes before New Year’s Eve. Presumably the court hearings will take place every day. RT: During the past two years you have represented the family, why did you do this – to help keep the public informed or not to forget about what happened? I.P. : I never wanted to take part in media events; I had to keep talking to the press both domestic and international. And even now I’m still doing it so that people will continue to pay attention to the legal hearing. I must say the interest that our family received from the foreign media side was and is very strong. However there is a difference between Russian and foreign media attitudes. Talking to foreign journalists I hear the same questions again and again – like “Can you comment on the Putin regime in Russia? Do you think the KGB has something to do with the case of your mother’s murder?” I hear them so often so I don’t even get surprised anymore. RT: But how do you answer or what do you say to them? I.P. : I have laughed at these questions, I even say to journalists not to ask me such things. However I do answer sometimes saying that I never thought about the murder of my mother in that kind of way. And I believe there was no government order given for the murder. I answer directly like this. Of course journalists do not want to hear that, they want to hear some criticism and some kind of sensational information. RT: Have different people – either political figures or foreign organisations – offered help or support? I.P. : Let’s start with Russian institutions. First of all, our family receives constant help from the Russian Union of Journalists; they regularly keep in touch and invite us to different social events. As for political organisations – they invite us to different meetings, but no-one from our family goes. Surprisingly, we received strong support from the Moscow government, when they helped us with funeral ceremonies and offered us medical support. 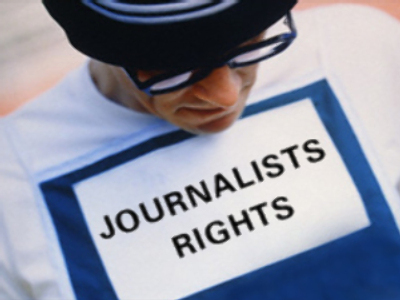 A range of international institutions including UNESCO, reporters without borders, the international journalist association and many others offered support. For our family it is very important. Many official organizations, including the media, have said no matter what the outcome of the trial, we won’t believe it until your family accepts it. 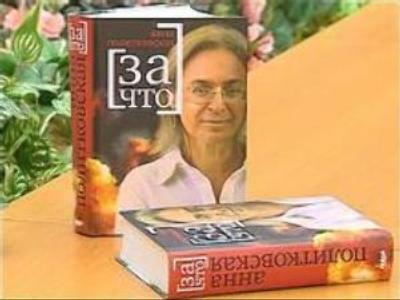 RT: Do you think the image of Anna Politkovskaya has changed in Russia? I.P. : In our country her image hasn’t changed overall. Of course the majority of people have begun to forget who she was. And I’m not saying it’s bad, its part of human nature as time goes by. And here the job of journalism is to remind, to remind the nation of problems which exist and shouldn’t be forgotten.